Paco de Lucía – Canción Andaluza – his posthumous album which he never could perform live. 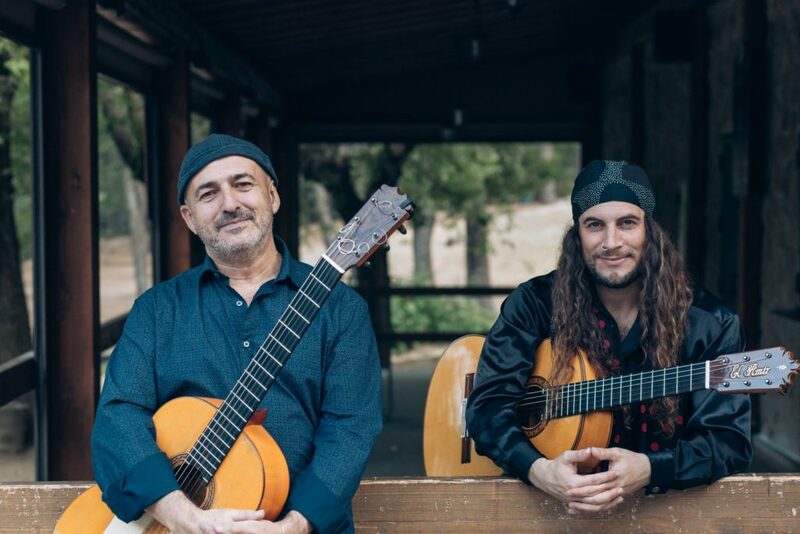 For the first time this album will be brought on stage as a tribute by his nephew Jose Maria Bandera (a regular member of the famous sextet in many world tours) and Amir John Haddad – El Amir – a powerful guitar tandem full of emotion, virtuosity and sensitivity while interpreting faithfully and masterfully some of the songs that the Maestro of Algeciras had chosen for this album “Canción Andaluza”. Famous Andalusian and Spanish traditional copla songs such as María de la O, Señorita, Te he de Querer Mientras Viva, Chiquita Piconera, Romance de Valentía and Ojos Verdes, composed by Quiroga, León, Quintero, Valverde and other great composers of their time are part of the repertoire choosen for this special concert. The band format is a quartet with the following line up: José María Bandera on guitar, El Amir on guitar and bouzouki, Josemi Garzón on double bass and Israel Katumba on percussion. The album received 2 Latin Grammy in 2014 for Best Flamenco Album and Best Album of the Year. Only two weeks after its release the album was already a no.1 bestseller in Spain. What better place for a worldwide debut of such an important and outstanding event than Paco de Lucia’s birth place itself, Algeciras, at the IV Encuentro Internacional de Guitarra Paco de Lucía. The perfect frame for the debut of Canción Andaluza with an exceptional featuring artist as a special guest, renowned flamenco singer Arcángel. 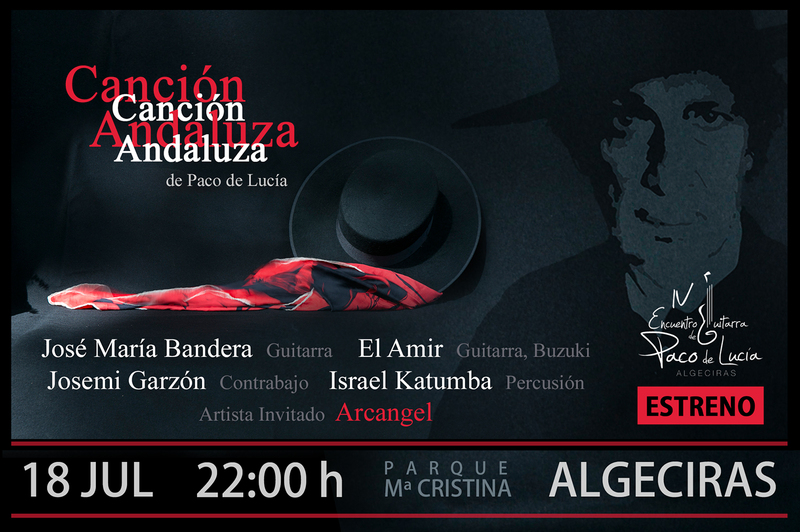 The concert will be on 18 July in the Parque María Cristina, Algeciras at 10pm.